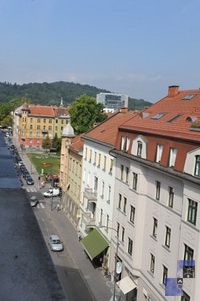 The studio is located in the historical city centre of Ljubljana on Dalmatinova Street on the fifth floor with elevator access, only 300 m from the main square. 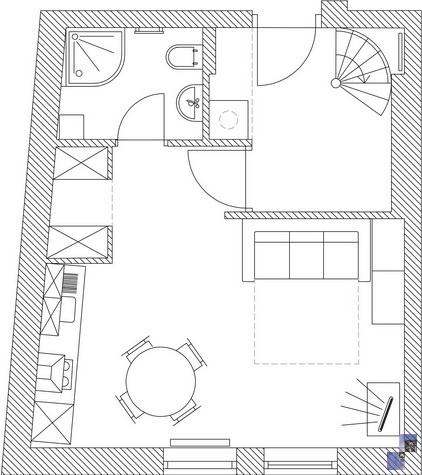 The studio has a comfortable pulled out sofa (160 x 200 cm), a kitchen corner with cooking utensils, microwave, refrigerator, dining table, private bathroom with shower and shared washing and drying machine. 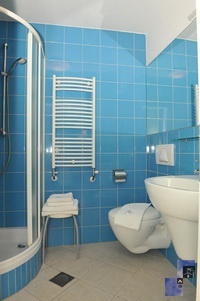 It is fully equipped with towels, linen, iron, ironing board, hair dryer, CATV and free broadband wired and wireless (Wi-Fi) internet access. The private parking lot is approx. 50 m away from the apartment (only for personal vehicles that do not exceed the usual size of 5m) - daily price is 12 €, monthly price is 120 €. Reservations must be made in advance. Garzie Lubiana! Siamo stati benissimo e ci porteremo in Italia un bel ricordo. Consiglieremo volentieri questa agenzia ad amici e conoscienti. We had a really wonderful end of year and beginning of new one in this flat. 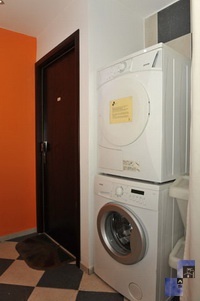 Really cosy and practical flat, near the city center. We'll recommend it to french people who would know who should want to come to Ljubljana. Wishing next people in it a beautiful stay! !